If you are at all worried about the best way of getting your home clean as quickly and easily as possible, then One-Off Cleaning is just what you need. We are here to offer the best one-off cleaning in and around Finsbury Park, N4 helping each and every customer discover just how cleaner their home can be with professional help. There are many reasons for wanting to bring in the experts for a one-off clean. The house cleaning services we offer around the N4 region are a great way of preparing for a party of getting started on your big spring cleaning you have been thinking about for a while. With our help, you are certain that not only will the job be done properly, but it will be done quickly as well. Our expertise comes from many years as the best one-off cleaners across the N19 district, which means you can trust our team to deliver high-quality help when it matters most. Rather worrying about removing stains or cleaning carpets, simply dial up 020 3397 3282 now and find out what we have to offer. As an area of North London, Finsbury Park is both the name of a large outdoor area and a region in the north of the city. The park itself is over one hundred acres large and located mostly in the borough of Haringey. 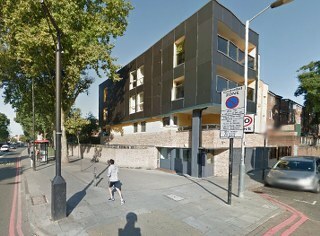 The area, however, is actually spread across Haringey, Islington and Hackney. There is also a place known simply as Finsbury, though this is located further to the south. Finsbury Park station is a large transport hub and allows people to access both the Victoria and Piccadilly Lines. The surrounding area is only a short walk away from places such as Seven Sisters Road, Blackstock Road, Stroud Green Road and The North London Central Mosque. Perhaps one of the most famous features of the local area is the large Premier League football club Arsenal, whose Emirates Stadium is located nearby. This means the station and the area can get very busy on match days, especially when the team is playing against rivals Tottenham Hotspur. For those thinking about travel, there are also a large number of buses departing from the Finsbury Park station. 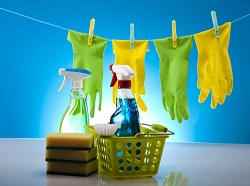 One of the very best aspects of hiring One-Off Cleaning to help with cleaning your home is the time you will save. It can often be a struggle to get a one-off clean done in a time frame that suits your needs, whether work, family, social activities or anything else conspires to get in the way. Whatever might be demanding your attention, the one-off cleaning services we provide around Finsbury Park, N4 are a great way of reducing the time required to get your home as clean as possible. Having this in mind, a quick call to the experts can save you a huge amount of time while still achieving amazing results. But that is not the only reason our customers love us. Thanks to our commitment to lowering the cost of home cleaning across the N4 region, our customers can find amazing value for money on the kind of solutions that matter. If you are considering the possibility of hiring professional one-off cleaning throughout N19 district, then the value for money we provide is a great way of saving money and get amazing results. If you want to find out more on our cleaning services or get a free quote, call on 020 3397 3282 today.